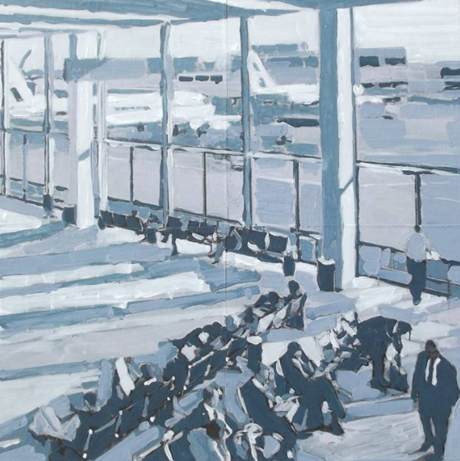 Hilde Goossens is a Belgium-based painter. This piece is titled “At the airport”. You can view more of Hilde’s work through her website.